DAZZLING & UPDATED! 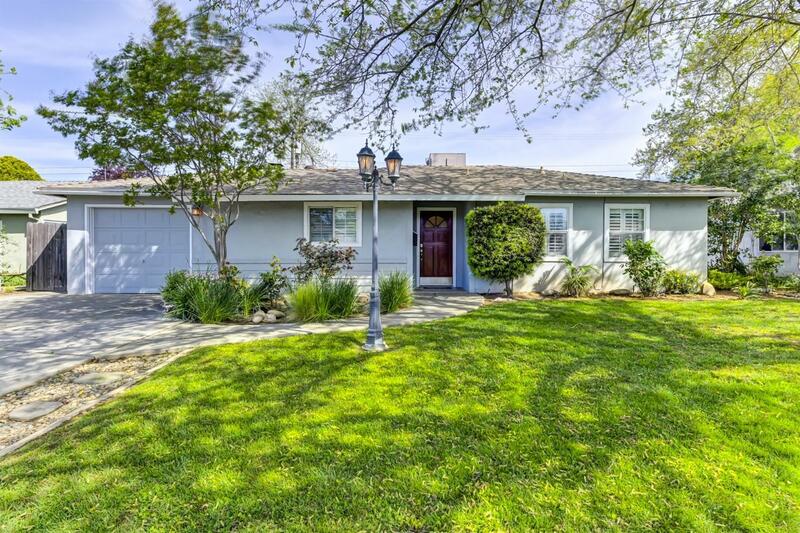 Newly renovated and glowing with pride of ownership, this Arden Manor gem awaits you. Step into the kitchen with new quartz counters, custom cabinetry, and stainless steel appliances including a luxury level gas range. Laminate flooring leads you into the family room where you'll pour yourself a glass at the winebar while the pendent and recessed LED lighting sets the mood. The elegant Hunter Douglas plantation shutters run throughout the home and the custom closet doors add style to each bedroom. Relax in the remodeled bathroom with jetted tub and enjoy entertaining in the HUGE backyard equipped with a spacious storage shed. This is the one place where your friends and family will love to gather, and the one you will never want to leave. WELCOME HOME!